A Skin Patch to Treat Peanut Allergy? Fortunately, in most cases, peanut allergy is characterized by milder symptoms: itchy skin or hives, which can appear as small spots or large welts; an itching or tingling sensation in or around the mouth or throat; nausea; a runny or congested nose. Even more fortunately, results from several studies show that new forms of therapy may successfully treat peanut allergy. One of these new forms of therapy is oral immunotherapy—also known as exposure therapy. In this approach, peanut-allergic children are given very tiny amounts of peanut protein orally under medical supervision. Over time, the body’s reaction to peanuts decreases. Results from an ongoing clinical trial show that a different approach, which uses a wearable patch, may treat children and young adults with peanut allergy, with greater benefits for younger children. The wearable patch delivers small amounts of peanut protein through the skin. This form of treatment is called epicutaneous immunotherapy, or EPIT for short. The results were published in the Journal of Allergy and Clinical Immunology on October 26, 2016. Researchers randomly assigned 74 peanut-allergic volunteers aged 4 to 25 years to treatment with either a high-dose (250 micrograms peanut protein), low-dose (100 micrograms peanut protein), or placebo patch. Each day, study participants applied a new patch to their arm or between their shoulder blades. After 52 weeks of treatment, the researcher evaluated the therapy efficacy. They found that about half of the clinical trial participants treated with the patch for one year were able to consume at least 10 times more peanut protein than they were able to prior to treatment. More specifically, low-dose and high-dose regimens offered similar benefits, with 46 percent of the low-dose group and 48 percent of the high-dose group achieving treatment success, compared with 12 percent of the placebo group. They also observed greater treatment effects among children aged 4 to 11 years, with significantly less effect in participants aged 12 years and older. The study results also indicate that the patch is easy to use, convenient and safe. Thus, epicutaneous immunotherapy is a novel, potentially effective approach for peanut allergy treatment—it does deserve further evaluation. Being someone who works on the front part of a bakery for my part-time job, I can relate to the difficulty of always being watchful of the ingredients utilized by the bakers at the back to be ready for every time a parent comes asking concern about allergies. At the beginning it would take us about 10 minutes just to be able to recommend them the right cake or cookies that would not have their specific allergen. While the usage of exposure therapy may be helpful in increasing the tolerance, by desensitization, of those allergic it does not deal with the underlying problem of the body treating the allergen as a harmful substance. I understand that having to work under the constraint of only being able to deal with the symptoms to try to find a method that does not raise the stress and anxiety of those undergoing the treatment and their caretakers. The usage of these wearable patches seems like a successful result especially for younger individuals who showed better results. With the patch inserting the peanut proteins directly into the subcutaneous layers and deeper rather than the proteins being delivered orally means that the actual amount that your immune system would be responding to the protein to be constant rather than be affected by your GI environment at the time of in taking the dosage. The convenience of the procedure was also demonstrated in how the participants were able to put the patch in a number of the patch in different places which would allow one to use it in ways that should minimize any discomfort that it would cause a child. I wanted to highlight and build on your point about the patches not treating the underlying problem, which is the fact that the immune system is recognizing this peanut as an allergen. This has been a problem in even successful allergen immunotherapy studies. I was able to find a recent study that reported on the appearance of “allergen specific CD4 T cells” when a subject is introduced to such immunotherapy. These same patients, once immunotherapy is halted, have recurring allergic reactions, meaning for the therapy to work it must be done continuously. Luckily this is being investigated and this new research has given them insight into how these T cells work. They also found that it is possible to use these T cells to predict immune tolerance. So the immune system’s persistence to view peanuts as allergens is a problem but it is thankfully being addressed giving us hope for treatments like in this blog. advised that 20% of children with peanut allergy naturally grow out of it. This made me think about lactose intolerant people, like myself, who actually grow up and develop a food deficiency. I just thought it was interesting that Lactose intolerance has a trajectory that can be opposite of peanut allergies. However, I wonder if peanut allergies are a result of a deficient enzyme like the cause of lactose intolerance. Although death and hospitalization is unlikely when I drink milk or eat ice cream, there is still a unpleasant response. I think this skin patch will be successful at creating a milder reaction when peanuts are consumed, but I doubt this could cure the allergic response entirely. I agree with your comments about Oral Immunotherapy not treating the underlying problem of the body treating these allergens as a harmful substance, however, while reading an article about food desensitization it was stated that the goal of OIT is not to allow complete tolerance of foods that individuals were previously allergic to, but to increase the dose at which the anaphylactic responses happen, therefore inhibiting life-threatening responses to small amounts of these allergens. While this method does not completely take it away it does help ease the lifestyles of some individuals with peanut allergies with the difficult task of being at a constant state of caution. At the New England Food Allergy Treatment Center in West Hartford, Conn., patients with peanut, tree nut, milk products, and egg allergies are fed very small amounts of the foods in which they are allergic. Increased dosage of a predetermined amount of these foods over approximately 8-10 months has yielded over 90% success rate in reaching a dose that can be maintained. While this sounds like a great program, your comments about the effects on the individuals GI tract stood out to me so I looked on their website for the most common symptoms and sure enough they included an upset stomach, nausea, and vomiting. Patients may also experience an itchy throat after dosage. I would pose the question of what effects does oral immunotherapy have on the gastrointestinal system and do these effects present future possible dangers within individuals who attempt this method. “New England Food Allergy Treatment Center” Copyright 2015. 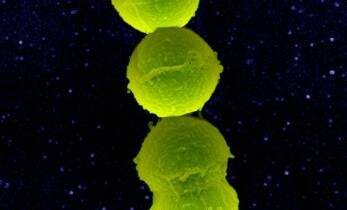 Nefodallergy.org/oral-immunotherapy-results/ web accessed. MacDonald, Thomas T., Sabatino, Antonio Di., Desensitization in Food Allergy:The Immunologic Basis for Gastrointestinal Food Allergy. Curr. Opin Gastroenterol. 2009; 25(6): 521-526. web accessed. That is an interesting finding and after looking into it I found a study with similar results . In their study the participants that had in the 1st trial gone through a treatment of peanut-consumption had lower IgEs that reacted to peanut particles when compared to a group that had avoided peanuts, but after a year long avoidance for but groups those who had previously had gone through the treatment showed higher IgE count. This would indicate that this form of treatments are dependent on the participants continued exposure to tolerable doses of the allergen out of necessity not to worsen their allergic reactions. What does not make the underlying issue any easier as it was pointed out in your paper was how the longer the Immunotherapy treatment went the concentration of a CD4+ T-cell cluster type that is in charge of regulation of allergic responses decreased. They pointed out that their number of samples were low, but this could mean that once the patients become expose in the future, after treatment has finalize, that they would not have the CD4+ T-cells that would diminish the reaction made by those CD4+ T-cells that cause the allergic response. “With the patch inserting the peanut proteins directly into the subcutaneous layers and deeper rather than the proteins being delivered orally means that the actual amount that your immune system would be responding to the protein to be constant rather than be affected by your GI environment at the time of in taking the dosage.” – Interesting insight. Reading the study I had noted the disparity in risk between OIT and EPIT but had thought that perhaps this was due to how directly the dosage was received. The component of time didn’t occur to me, though it should have as the effectiveness of this treatment is almost certainly tied to it’s duration and consistency. This is very interesting technique to make the body acclimatized with the allergen and increase the tolerance. However if this is successfully used to accomplish the required tolerance level, is it possible to feed the pregnant woman with peanut and expose the possible allergen to the embryo and increase the tolerance to the allergen and is there any possibility for mothers to consume the peanut while breast feeding and slowly expose the child before it directly exposed it as a direct food? The study on skin patch to treat peanut allergy is also promising thread to extend the various studies on preventing allergy. it is bringing up an important point slow exposure can increase the tolerance to peanut proteins , the recent studies has been come up with the same idea but not having enough data to support their finding.Hence this study in the current paper is a promising thread to scientist who work on this research filed to prove this point. However a new study published in JAMA Pediatrics on consumption of peanuts during pregnancy suggest that eating peanuts during pregnancy may reduce the baby’s risk of developing nut allergy. .It also emphasis on intake of peanut during pregnancy if the pregnant woman had no risk of breast feeding, the theory that exposure to early allergens “increases the likelihood of tolerance,” lowering risks of developing food allergies during childhood.As peanut is a good source of folic acid and protein which is very essential for the development of the child According to Dr. Gupta Consuming peanut during pregnancy can actually prevent both neural tube defects and nut sensitization. Apart from this the studies have proved that the girls who consume peanuts during their teenage have less likely to develop breast disease later in their 30+ age when compared to the girls who don’t consume them.it proves the nutritional importance of peanut as food.Hence it is more important to investigate on this topic. We have been aware of the positive effects of breastfeeding upon the newborn’s developing immune system for some time now. As we begin to understand the interaction of blood and nutrients at the placental barrier, new techniques for passing immune properties onto the unborn fetus may become available as well. For the time being, it seems that breastfeeding is the most effective means of helping the immune system develop. The unfortunate thing is that babies have already developed allergies by the time they are born. Mothers can unknowingly pass on allergens within their breastmilk that baby is allergic to. The study by Caminoa et al. (Hidden Allergens in Breast Milk. DOI: http://dx.doi.org/10.1016/j.jaci.2009.12.864), used skin prick tests conducted on children with allergic reactions immediately following feeding with breastmilk to show the increased IgE response to allergens contained in mother’s breatmilk. The foods that brought about an allergic reaction and showed an increased IgE concentration within the study were cow’s milk, eggs and peanuts. These are some of the most common allergys in the population. Mothers were instructed to abstain from these foods for the duration of breastfeeding. As a result, the children no longer suffered from the symptoms of an allergic reaction, such as gastroenteritis or urticaria. This further illustrates that we should think of these food allergies on a spectrum. While exposure therapy may work for some, it may not be the best way for all to deal with overcoming an allergy. It really boils down to how severe the allergy is and the symptomology associated with an attack. Some children outgrow their allergy as they age while others have to maintain a life long awareness. Hopefully we find a way to treat this issue in utero so that it is dampened before the child even has an opportunity to become exposed to the antigen. Ashley, mothers unnoticeably expose their children to allergens during breastfeeding, and for many, this doesn’t lead to allergic reactions, but for 3 to 5 % of the population it does. 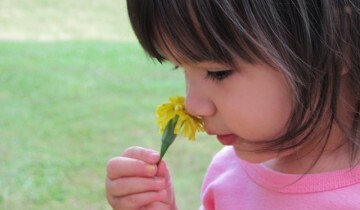 Surprisingly though, those who acquire allergies can actually develop tolerance very early on. In this cited article it explains how an old understanding of allergy prevention in foods has reduced potential allergy tolerance (1). It was often understood that avoidance of certain foods can control allergies. But this article states that in a study of 1600 children, there was an increased risk of acquiring wheat allergies in children who were not exposed to wheat until six months of age. I think this says a lot about the success shown in this article above regarding peanut allergies. The researchers noted that their highest group of success was among younger children. Therefore, though the mother could in fact expose their child to allergens through breastfeeding, early exposure can reverse that effect by providing allergy tolerance. 1. Abrams E, Becker A. Food introduction and allergy prevention in infants. CMAJ: Canadian Medical Association Journal = Journal De L’association Medicale Canadienne [serial online]. November 17, 2015;187(17):1297-1301. Available from: MEDLINE with Full Text, Ipswich, MA. Accessed November 13, 2016. This could be done in correlation with the patch treatment to further the tolerance for the offspring. It would be interesting to see if the offspring is more likely to develop an immunity and have the ability to consume peanuts as any person who is not allergic to peanuts. I support this method of delivering controlled amounts of peanut proteins over time as a way to increase a persons immunity to peanut allergies. I have worked with a similar technology where we used a similar micro needle patch as a prophylaxis against a virus with high mortality rate in humans. As indicated by the article, this patch acts as an intravenous injection that a patient would receive in a doctors office but is readily available to be used in a day to day setting by the individual. Saving lots of money by not visiting the doctors office on a daily basis while still receiving effective treatment is a win-win. I don’t think a skin patch can possibly work as an intravenous injection. A skin patch delivers the antigen to the skin, with all its complex network of immune cells and molecules that initiate the immune response. An intravenous injection bypasses interactions with these components of immunity. The mechanisms that lead to the development of immune responses are very different between skin patches and intravenous injections. With peanut and tree nut allergies being the most common life-threatening food allergies it is understandable why people who suffer with these types of alleries feel as though they live in a world of uncertainty. There has been a correlation between the timing of peanut exposure into a child’s diet and its effect on the risk of allergy. Recommendations have been made to delay the introduction to peanuts until the age of three. If a person already has a peanut allergy, avoiding nuts in your diet can prove to be very difficult and can have consequences on the nutritional needs of indivduals comprimising growth in children. Individuals with peanut allergies must alter their lifestyle by avoiding foods and sauces made with nuts, avoiding restaurants that cook their foods in peanut oil, and staying away from people who may have recently consumed peanut-containing foods.This is a very difficult task, especially for parents of young children.United States legislation requires all food companies to identify the presence of products that contain food allergens on their labels. Avoiding so many different types of foods can also limit the protein intake of these individuals. Humans must have protein in their diet to survive. We cannot make proteins from scratch or store excess proteins and without it in our diet our body will breakdown other molecules to survive. Though a diet with no peanuts would not entirely eliminate protein from our diet, it can cause a decrease in the nutrients gained from the diets of a person with nut allergens. With peanut and tree nut allergies being the most common life-threatening food allergies it is understandable why people who suffer with these types of allergies feel as though they live in a world of uncertainty. There has been a correlation between the timing of peanut exposure into a child’s diet and its effect on the risk of allergy. Recommendations have been made to delay the introduction to peanuts until the age of three. If a person already has a peanut allergy, avoiding nuts in your diet can prove to be very difficult and can have consequences on the nutritional needs of indivduals comprimising growth in children. 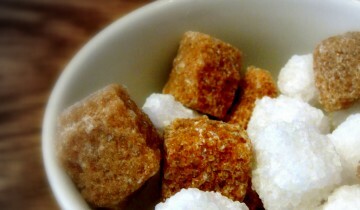 Individuals with peanut allergies must alter their lifestyle by avoiding foods and sauces made with nuts, avoiding restaurants that cook their foods in peanut oil, and staying away from people who may have recently consumed peanut-containing foods.This is a very difficult task, especially for parents of young children. United States legislation requires all food companies to identify the presence of products that contain food allergens on their labels. Avoiding so many different types of foods can also limit the protein intake of these individuals. Humans must have protein in their diet to survive. We cannot make proteins from scratch or store excess proteins and without it in our diet our bodies will breakdown other molecules to survive. Though a diet with no peanuts would not entirely eliminate protein from our diet, it can cause a decrease in the nutrients gained from the diets of a person with nut allergens. This comment was posted twice (1:59 AM and 2:19 AM). The use of patches that inject a payload epicutaneously are really emerging as a modern method of needle injection with a wealth of applications. As these types of patches in application are generally regarded as painless, it makes them an attractive option in drug delivery with what I imagine would be high curb appeal. After all who likes seeing a giant needle at the doctor’s office? Dr. Mark Prausnitz has been developing the technology of microneedles at Georgia Tech and has found the technology to be especially useful for delivery of macromolecules. The application cited in this blog outlines the use of microneedles in delivering proteins as a therapeutic for peanut allergy, but other studies have shown this to be a practical application in delivering DNA vaccinations and management of blood glucose levels via the delivery of insulin. Further building the case for the incredible potential therapeutics of this technology, microneedles can be solid, hollow, or simply be coated in the drug itself. Citation: Prausnitz MR. Microneedles for transdermal drug delivery. Advanced Drug Delivery Reviews. 2004;56(5):581-587. doi:10.1016/j.addr.2003.10.023. As mentioned above, Epicutaneous Immunotherapy (EPIT) is a proposed treatment for individual with peanut allergies, but the technology is applicable to many other allergic events. At patch not dissimilar in shape to that of a nicotine patch (1) is placed on the skin. The patch contain low dosage of a predetermined allergen which will trigger an immunological response. The desired effect is twofold, first, to downregulate the immune response holistically and second, to upregulate regulatory pathways (2). Early results such as in the paper cited in this blog post seem promising with patients exhibiting increased tolerance the peanut protein after the trail time window. My interest is the viability of this technology for the treatment of seasonal allergies that plague myself and many other people nationwide. Senti et al wrote a review summarizing the findings from three trials which focused on grass pollen (3). They noted symptom improvement of 48% and 40% the following year without additional treatment. This highlights the feasibility of EPIT in treatment of common day seasonal allergies. 3. Senti G, von Moos S, Tay F, Graf N, Johansen P, Kündig TM. Determinants of efficacy and safety in epicutaneous allergen immunotherapy: summary of three clinical trials. Allergy. 2015 Jun;70(6):707-10. doi: 10.1111/all.12600. Epub 2015 Mar 13. According to the CDC from 2004 to 2006, approximately 9,500(1) of people who were discharged from the hospital per year were children under the age of 18 with diagnosis related to food allergies. Four out 100 children are affected by food allergies. 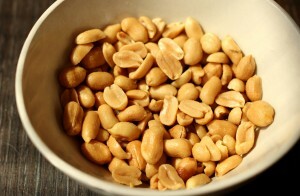 Peanuts is one of 8 foods or additives that accounts for 90% of allergies. Food allergies has doubled(2) in children in US and there has been a 500% increase in food allergies in the UK. Though the CDC have put into place a Voluntary Guidelines(3) for managing Food Allergies in Schools and Early Care and Education Programs based on the FDA Food Safety Modernization Act passed by congress in 2011. Schools and Early Childhood programs are not required to implement any policies that would address the rise in allergies related to peanuts and other foods. This patch would allow the nearly 3 million children and their parents to have some sort of relief. In 2012, 7-year-old Amarria(3) Johnson died after suffering an allergic reaction during recess. The school was unable to administer an epi-pen to her because she did not have one with her name on it. In a case like this where school administrators were unable to help the child because they did not have a prescribed epi-pen and had to wait for paramedics to arrive the patch would of possibly delayed or prevented the body from going into anaphylactic shock. The patch would give hope to a silent killer with no current treatment. Those are some startling statistics you cited. I did not think of the role government play in the case of food allergies. And, I would agree with your hypothesis that building up tolerance via the patch could have saved that students life. Although the science is important, I feel we must also scrutinize the policy procedure we have in place to find inefficiencies and correct them. Collectively we have the power to prevent needless loss of life such as the example you cited. I would like to see further research into the long term efficacy of EPIT. I’m also curious if the administration duration could be shortened (and perhaps made more affordable to the patient) by gradually upping the dosage. There were comparisons with research involving OIT and SLIT methods but I’d be curious in the effects of using intralymphatic injection (ILIT) as a desensitization mechanism. This method has been studied with hay fever sufferers (https://www.ncbi.nlm.nih.gov/pmc/articles/PMC3043304/) and interestingly after an administration of three injections over a period of eight weeks (cf 52 weeks with EPIT), with desensitization retained even after three years. This would address both of my concerns but considering that both EPIT and OIT had particularly discomforting side effects, if similar effects were found with the administration of ILIT it would at least have the advantage of minimal occurrence due to the significantly lower number of treatments required for effect. Interestingly, it seems that epicutaneous immunotherapy may be more effective than oral immunotherapy in providing relief from possible oral anaphylaxis. This result is opposite what I would have considered since introducing the allergen directly to a mucus membrane is usually one of the most effective ways of producing an immune response (including the upregulation of IgA which is absent in non-mucus membrane administration). The GI tract is completely composed of mucus membranes, so it would follow that exposure of the antigen directly to this tissue would bring about the strongest response. However, a recent study published in the Journal of Allergy and Clinical Immunology (http://dx.doi.org.ezproxy.gsu.edu/10.1016/j.jaci.2016.03.057) found that the results of a course of epicutaneous immunotherapy versus a course with oral immunotherapy yielded a more pronounced T regulatory cell response in the GI tract. The introduction of the allergen through the skin caused an increase in the number of T regulatory cells which directly suppressed the activation of mast cells that release histamine and other cytokines which are the cause of the negative effects of anaphylaxis (throat swelling, hives, rash, nausea, vomiting). The suppression of these T regulatory cells is shown to be long term, providing a permanent solution for those suffering from allergies to foods. With the current research, epicutaneous immunotherapy is the most effective way to prevent severe oral anaphylaxis and those with severe cases of food allergies should consider a course of epicutaneous therapy for preventing potential life threatening situations. Using a skin patch to treat peanut allergy is an interesting concept, given that patch is easy to use, safe and convenient. Allergies are the 6th leading cause of chronic illness in the US and more than 50 million Americans suffer from allergies each year. Peanut allergy is one of the big food allergy that account for 90% of those suffered by food allergy. Peanut allergies often cause life-threatening allergic reactions, called anaphylaxis. Each year there are between 15,000 and 30,000 episodes of food-induced anaphylaxis and 100 to 200 related deaths in the United States, according to the National Institutes of Health. When an allergic person eats a peanut, the proteins are absorbed through the intestine and can activate a life-threatening, full-body immune response. This includes constriction of the airways, low blood pressure and/or shock and can lead to loss of consciousness and death. Since peanut allergy is so impactful, I thought of looking into what other treatment options we had in the past. I came to know that best thing was to avoid peanuts and if anyone somehow ate them by mistake, epinephrine was used to counter a severe reaction. I came across two methods to induce tolerance- oral immunotherapy which is touched a little in this article and achieving peanut tolerance by attaching peanut protein onto blood cells and introducing them to the body. Turning off a life-threatening allergic response to peanuts by tricking the immune system into thinking the nut proteins aren’t a threat to the body is a very interesting concept. A study by researchers from Northwestern University showed that the peanut tolerance can be achieved by attaching peanut proteins onto white blood cells and reintroducing them to the body. Using a mouse model that mimics a life-threatening peanut allergy, researchers attached peanut proteins onto leukocytes and infused them back into the mice. After two treatments, the mice were fed a peanut extract. They did not have the life-threatening allergic reaction because their immune system now recognized the protein as safe. In this experiment, the immune system of mice saw the peanut protein as perfectly normal because it was already presented on the white blood cells. Without the treatment, these animals would have gone into anaphylactic shock. I think it would be interesting to use the same concept to target multiple food allergies at one time by attaching more than one protein to the surface of the cell. 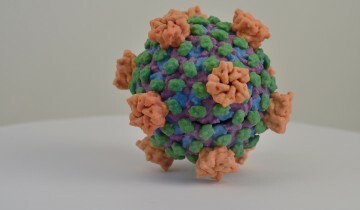 This is an exciting new way in which we can regulate specific allergic diseases and may eventually be used in a clinical setting for patients. Charles B. Smarr, Chia-Lin Hsu, Adam J. Byrne, Stephen D. Miller, and Paul J. Bryce. Antigen-Fixed Leukocytes Tolerize Th2 Responses in Mouse Models of Allergy , Journal of Immunology 2011 Nov 15;187(10):5090-8. There should also be something said about the success of the study being attributed by the ease of the treatment. I find that difficult medicinal products cause treatments to be ineffective because of a lack of patient compliancy. It is known among doctors that patients never truly complete the full course of treatment or even ever consume the full dose. The cited article (1) states that even patients who are struggling with a vast array of chronic pathologies like cardiovascular, neuropathic, and psychiatric diseases struggle with patient compliancy. One article argues about 50% of patients forget to take medication or even “how to assume medicines” (1). This product was created to provide the patient with controlled exposure to peanut allergens so that they may build immune resistance and lessen the effects of nut allergies. Ultimately, I believe this immune building patch has received such success because it is quite simple to administer. Brondi R, Bannò F, Bongioanni P, et al. Drugs don’t work in patients who don’t take them: Dr. Drin, the new ICT paradigm for chronic therapies. Studies In Health Technology And Informatics [serial online]. 2013;191:100-104. Available from: MEDLINE with Full Text, Ipswich, MA. Accessed November 13, 2016. I am very interested in an earlier mention of these patches being used for other types of allergies and how this could relate to children growing up with allergies. A childhood friend of mine was born preterm and because of that she suffered an array of problems and one of those was being allergic to almost everything growing up. As a child she had to take more than 5 different medications every night and it still didn’t make it easier for her to go near the family pet. I found a recent study on the problems that preterm births have on the child’s health. They found that being premature caused allergic sensitization along with severe asthma and altered pulmonary functions. For a child growing up with problems like severe asthma the last thing they need to worry about it not being able to be near a PB&J. If these patches could be used for not only peanut allergies but for grass, pollen, and eggs then children that happen to be born preterm may have one less thing to worry about. For a small child putting on a patch sounds much easier than taking inhalants and swallowing giant pills every night, giving them more time to enjoy being a kid. Citation: Gonçalves, C., Wandalsen, G., Lanza, F., Goulart, A.L., Solé, D., dos Santos, A., 2016. Repercussions of preterm birth on symptoms of asthma, allergic diseases and pulmonary function, 6–14 years later. Allergologia et Immunopathologia 44, 489-496. I was interested with your story and it reminded me of how my cousin was also born preterm, but while he suffered early in life due to being born preterm he never suffered any of the common food allergies. I decided to look to see for studies that study in depth the emergence and causation of different food allergies with relation to preterm birth. For milk it seems as thought there are two types, the ones that are cause by IgEs that are specific to “milk components” and the ones that are cause by a lack of lactase in the gut, while other like peanut and egg are caused by antibodies that are specific to that food. Sadly I couldn’t find any study that found a causative factor that would bind preterm birth and food allergy caused by antibody activity. A study did find that preterm infants had a lower prevalence of food allergies and atopic dermititis than infants born from full-terms, at least from those of their sample group. Their conclusion for this was that due to feeding preterm infants solid food earlier than full-term infants to assist in their development. This could indicate that cases such as that of your friend and her allergic problems were not caused by her being born preterm but caused by other factors.